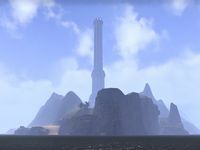 According to historical lore of the Dawn and Merethic Eras, the Direnni Tower was created by the Aedra for a place of discussing the creation of Mundus. The tower was then used by the Gods for discussing the punishment of Lorkhan for his trickery of conceptualizing Mundus; the decision being to cast Lorkhan's heart from the tower and into the mortal world below. When Magnus departed from the near-formed Mundus, the Gods that followed him abandoned the tower, leaving behind the secrets associated with it. 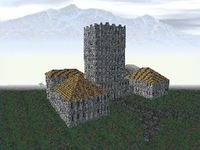 For game-specific information, see the Daggerfall article on the Direnni Tower.